A remote executor is a machine that is used to execute your automated tests. 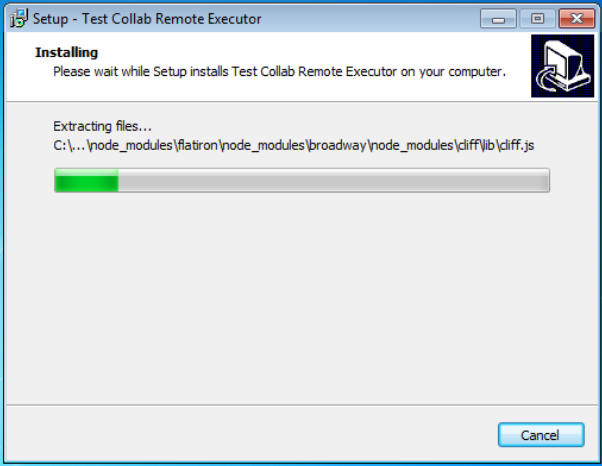 For connecting the machine with your TestCollab setup, you will need to install remote executor on your machine. 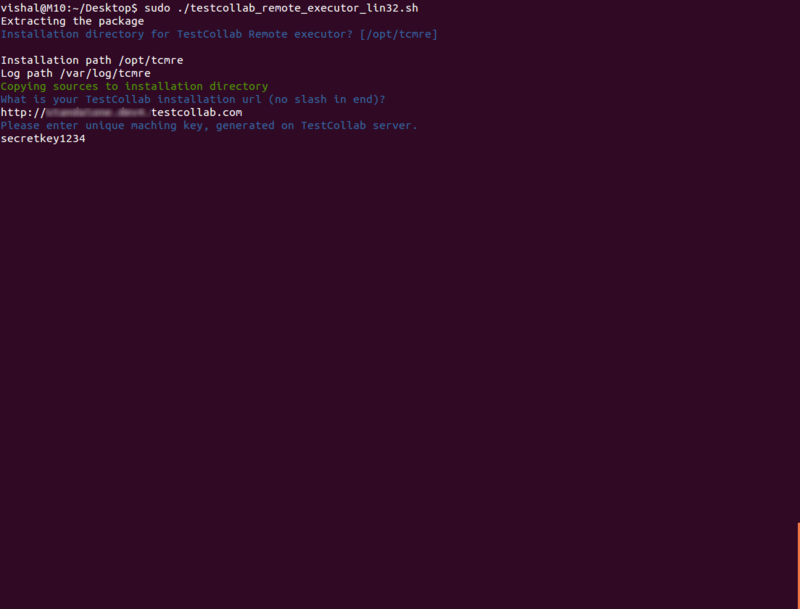 Currently we support Windows and Debian based Linux systems. 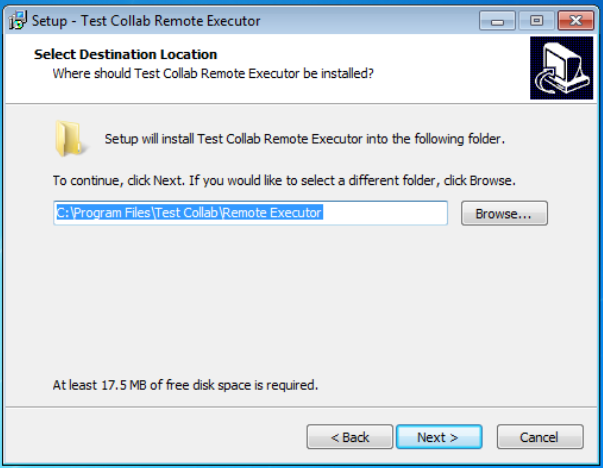 Your Testcollab installation should be accessible from machine where remote executor is installed. If you are using self hosted instance on private network machine then TestCollab should be accessible on same network. For Cloud (SaaS) accounts, machine having remote executor installed should be able to access internet. To add a machine with remote executor to TestCollab. 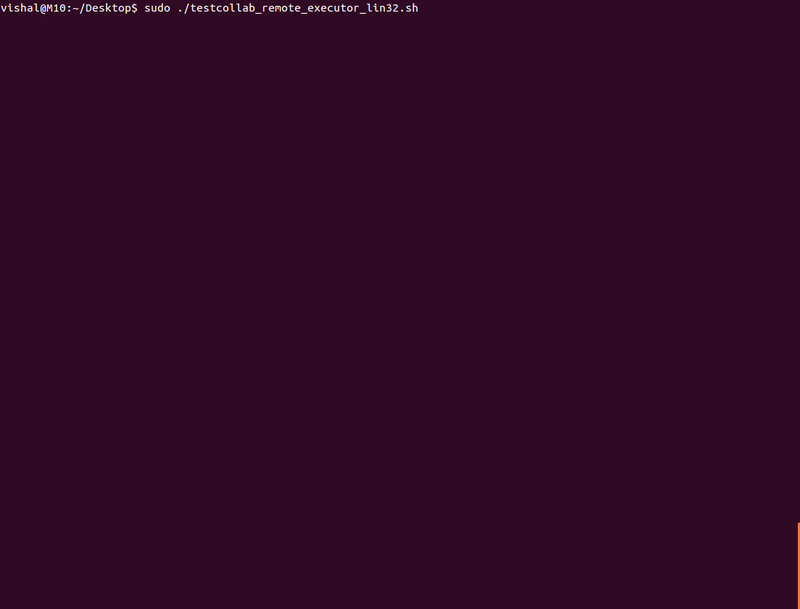 You can do it From Settings -> Remote Executors. Machine name: This is the name which will represent machine in the application. After you run the downloaded package, you will be prompted to enter two parameters. Your Test Collab Host and Remote executor API key. 3. In Test Collab Host, add the URL of your TestCollab installation and in Remote executor API key, add the unique API key that you entered while adding remote executor on TestCollab. 4. Similarly follow the rest of the wizard - and you will see the success message if everything goes fine. Note: All configuration changes will require a service restart. For Windows, Go to 'Run > services.msc > Right click Test Collab Remote Executor > Select Restart'. Change to the directory you downloaded the package into. And finally the unique API key that you entered while adding remote executor on TestCollab. All configuration changes will require a service restart. Linux users can start remote executor using the command command 'sudo /etc/init.d/tcmre start' or 'sudo service tcmre start'. You may replace 'start' with 'stop' or 'restart'. For Windows, Go to 'Run > services.msc > Right click Test Collab Remote Executor > Select Restart'. If you want the remote executor to get launched automatically when your system starts, you can copy /opt/share/tcmre/tcmre.job.plist in /Library/LaunchDaemons to set it as daemon. Please note it is important to configure your firewall or router settings if they do not block applications to listen on specific ports.